The Ewing English Club under the department of English Language organized FCC’s first ever Forman Spelling Marathon’13 from 3 to 4 October 2013. Schools from all over Punjab participated in the event. 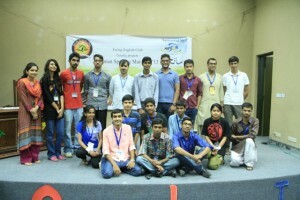 More than 20 teams participated in this exciting competition from the well-reputed institutions which include GC University, Kinnaird College, Beaconhouse School System, Roots International School, University of Punjab, University of Central Punjab, Punjab University College of Information Technology, and St Peter’s High School. The competition was divided into two age groups. One was 15-18 and the other was 19-22. There were three rounds, the first of which was United We Run Round, in which the students were to compete in the form of a team. In the Do or Die Round students were judged on individual basis; and the final round was named as the Sprint Round. 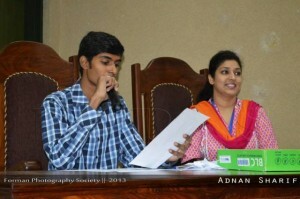 Students were really enthusiastic about this competition. Miss Rachel Hasan and Mr Naveed Alamwere the Pronouncers on the first and second day respectively. In 15-18 age group, Saad-uz-Zaman from GCU was declared the champion. Janneha Rubabfrom Lahore Grammar School stood as the 1st runner-up and Haider Salman from Beaconhouse School System stood as the 2nd runner-up. 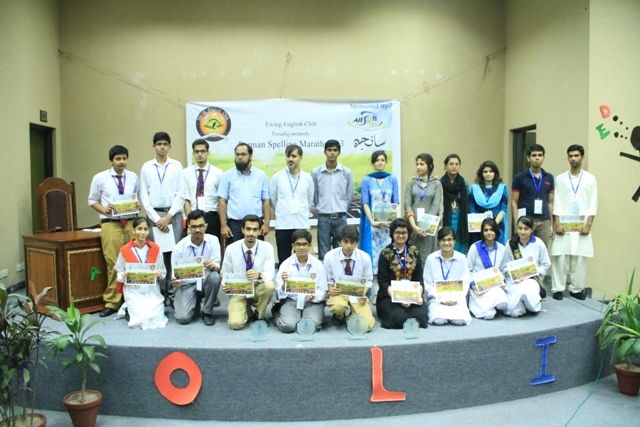 In the 19-18 age group, Kinnaird College grabbed the first two positions with Hina Zahid as the champion and Tehniyat Bukhari as the 1st runner-up. Ahad Ahmad Khan from GCU was the 2nd runner-up in this age group. 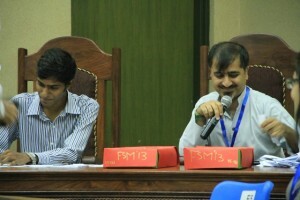 At the end of the first day, a social event was also arranged to make people interact and socialize with each other. It was very entertaining.This competition created a sense of encouragement among the students and also helped them to learn new vocabulary words through various channels of entertainment.